There is something about spending a week in Anguilla that brings out the best in a person. After a few sips from the high-octane friendship cup at the Trattoria Tramonto restaurant, you may also see a side of yourself you didn’t know existed. Anguilla is one of the most beautiful of the Caribbean islands. The island delivers a terrific one-two punch of 16 fabulous beaches and a restaurant lineup that will thrill foodies. One of Anguilla’s best places to dine is Trattoria Tramonto. “TT,” as it’s known in Anguilla, serves up authentic Northern Italian food. If you dare, you may want to top off your dinner by requesting a sip from the friendship cup. The drink gets it’s name because a minimum of four people must drink from this cup. The ritual’s roots can be traced to the Italian Alps’ region. The cup is made from a piece of turned wood, having anywhere from four to 12 spouts. At the Trattoria Tramonto, the cup’s contents include rum, vodka, gin, and maybe tequila. The bartender may also add sugar, lemon, and orange peels. Once the cup is filled with ingredients, it’s set it on fire and the potion caramelizes. The friendship cup fluid recipe is the ultimate Caribbean eye opener. 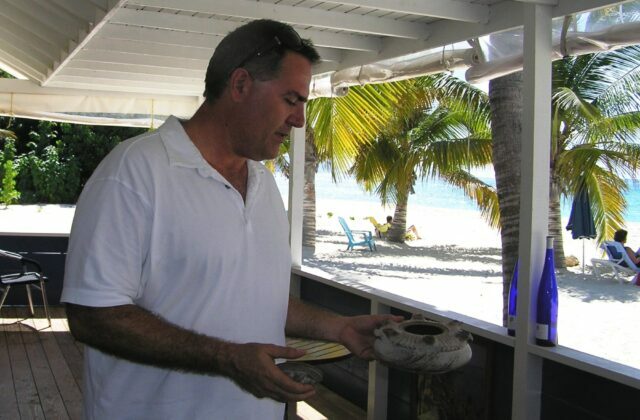 So if you can’t vacation in Anguilla this winter, carve yourself a friendship cup. The drink is sure to help you relax and everyone can use another friend.